Hello! I’m late getting this up this year but I still wanted to do it because I like having a consolidated list. You know how much I love consolidating anything so basically I can’t help myself. 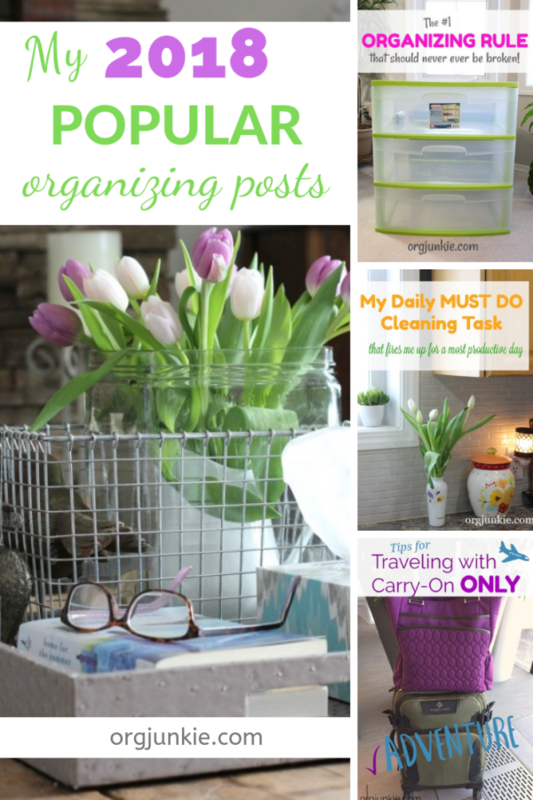 I recently hit up my analytics to find my 2018 popular organizing posts so I could share them with you by month as I did in 2017 and 2016. Who doesn’t love a good round-up? 🙂 Hopefully no matter what you are organizing right now one of these posts will be just the motivation you need. It’s time to kick clutter and chaos to the curb. 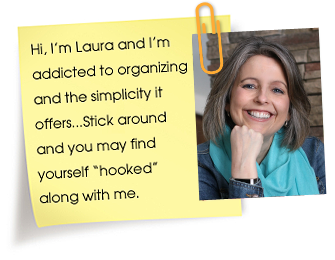 So grab a cup of coffee (or tea) and let’s have some fun digging in to all things organizing. Oh and I’ll be back later this week to post my annual purge pile pictures from last year. That’s always exciting to me and many of you tell me that you find it very inspiring as well. So there you have it. Do you have a favorite among them that you remember reading or are just reading for the first time? What areas of your home are you wanting to organize in 2019? My craft and laundry room are one in the same, I really need help with the craft part. Got lots of boxes of stuff and need to organize so I can use the stuff when I want to get my craft on. Thanks for all your great organizing help.